A decadent peignoir in silk crepe, with a voluminous skirt and full sleeves. 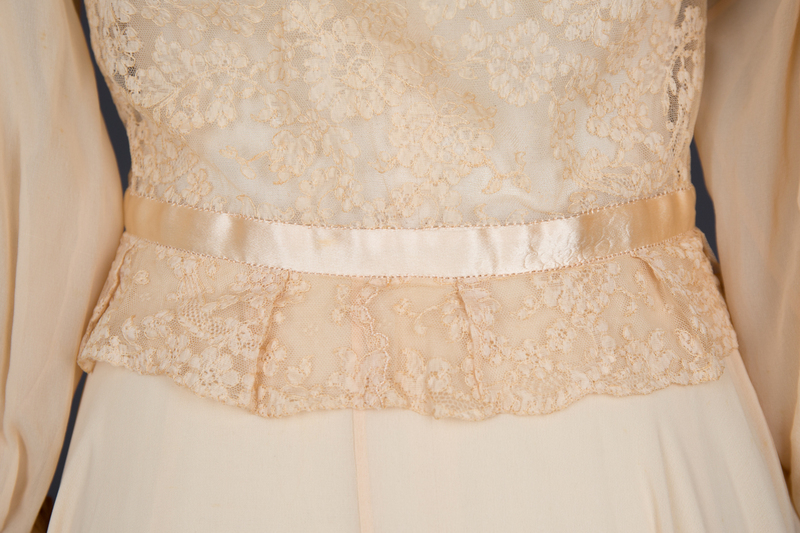 The skirt is carefully has a carefully panelled diagonal cut to minimise fabric wastage whilst maintaining a full cut. 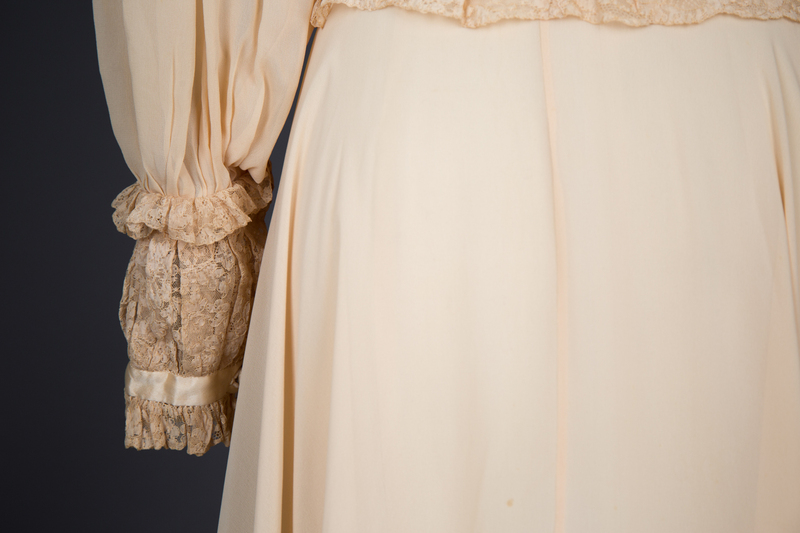 The bodice of the garment is made of a machine lace, with the scallop edge forming a ruffled trim at the neckline, underbust and cuffs. 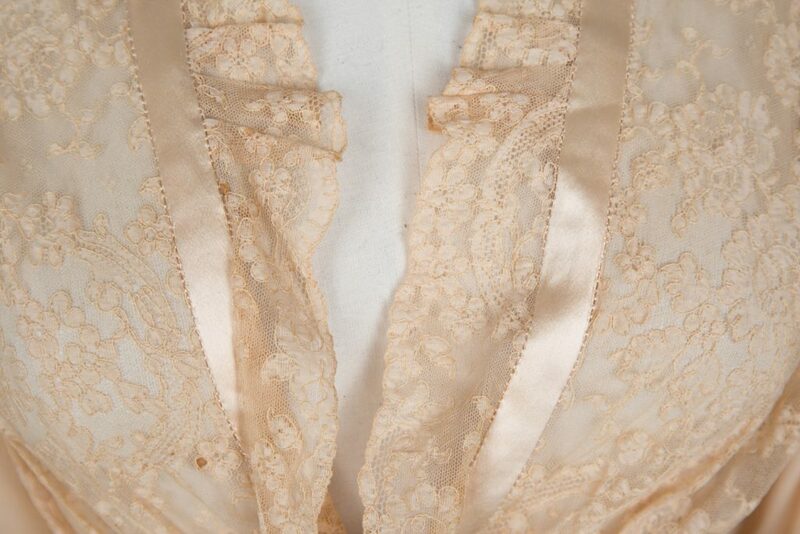 The garment has a number of luxurious techniques and details. Silk satin trims the neckline and cuffs and is applied by delicate hand stitches, and all the French seams are hand finished. 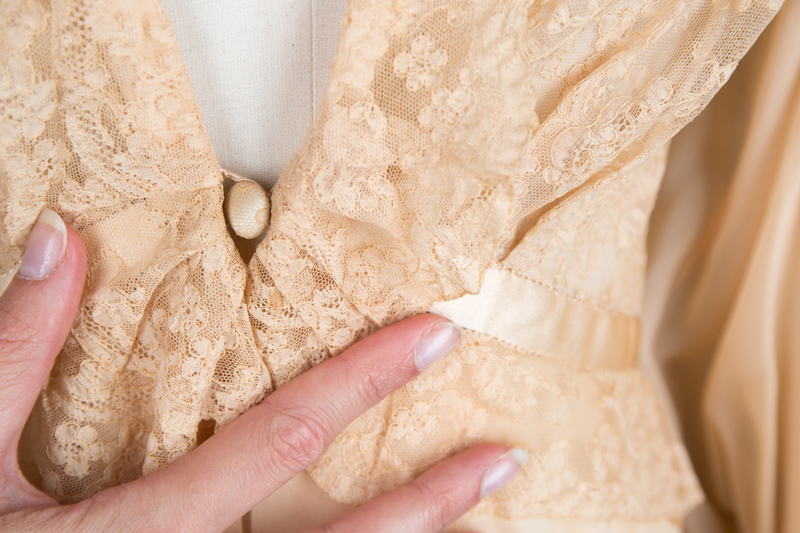 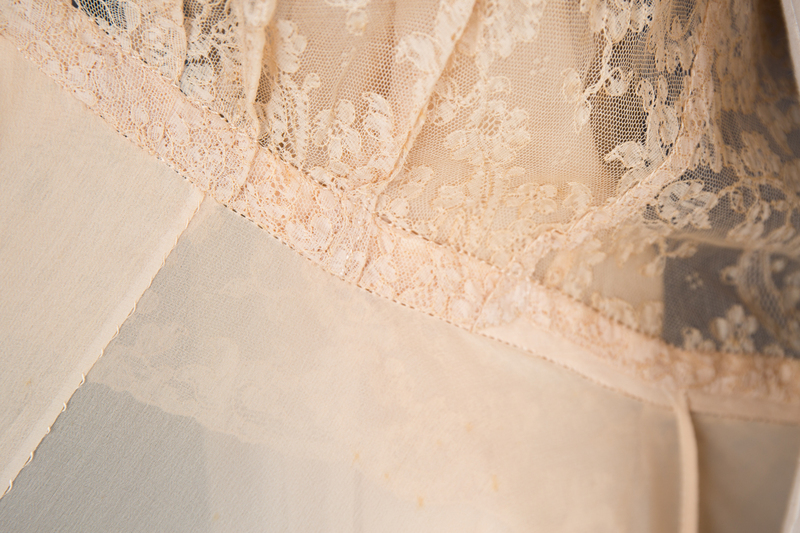 The button fastening at the underbust has a hand stitched loop, and the buttons are covered with matching silk and lace. 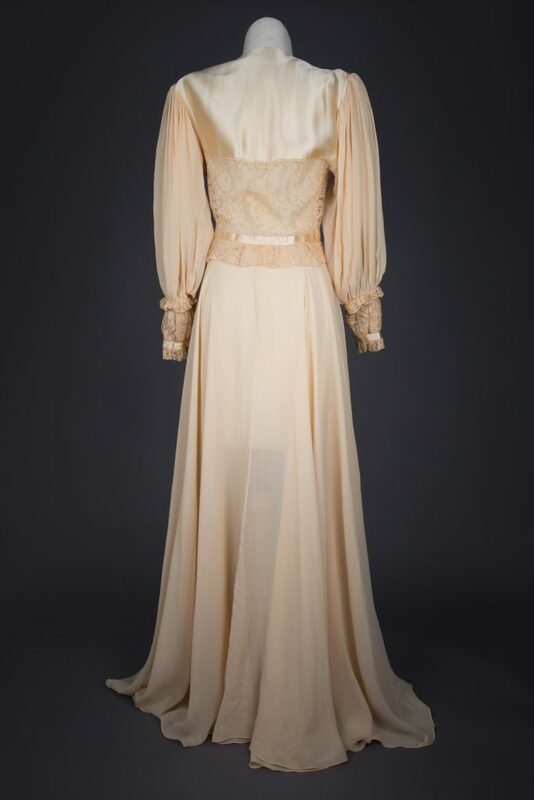 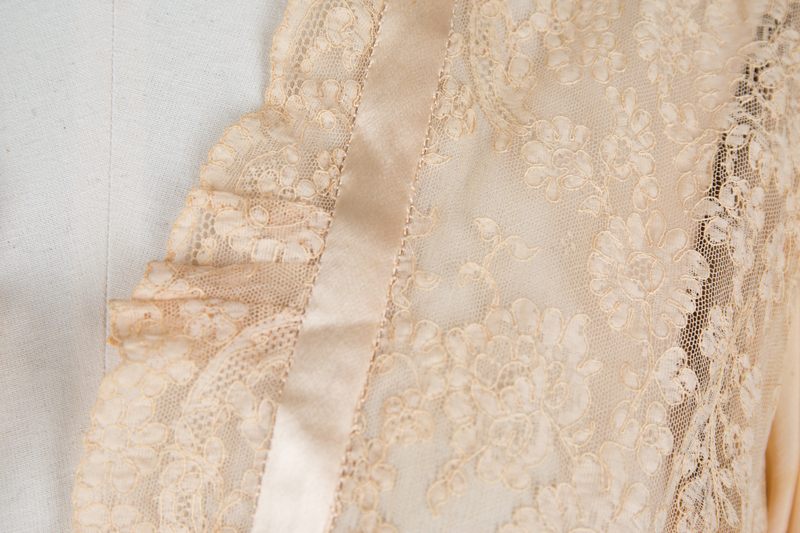 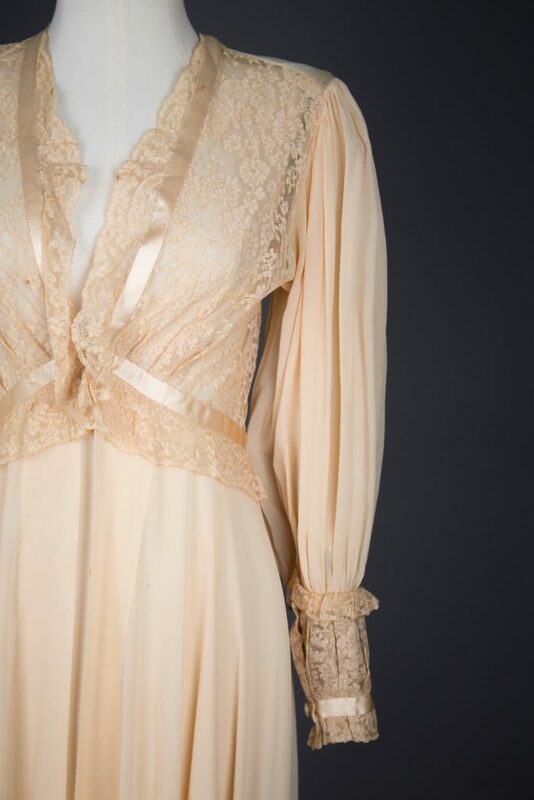 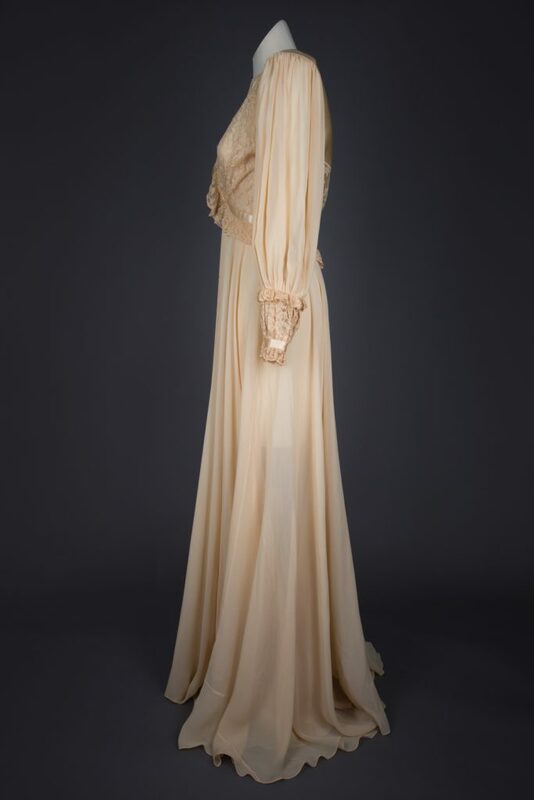 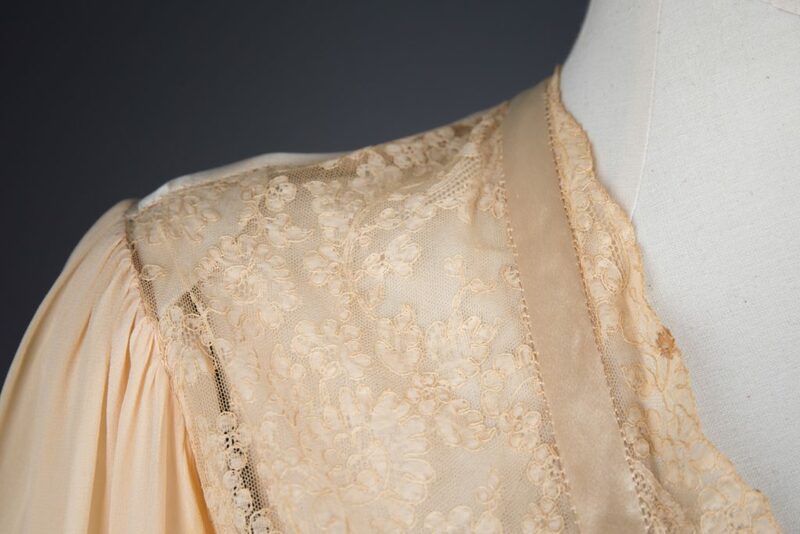 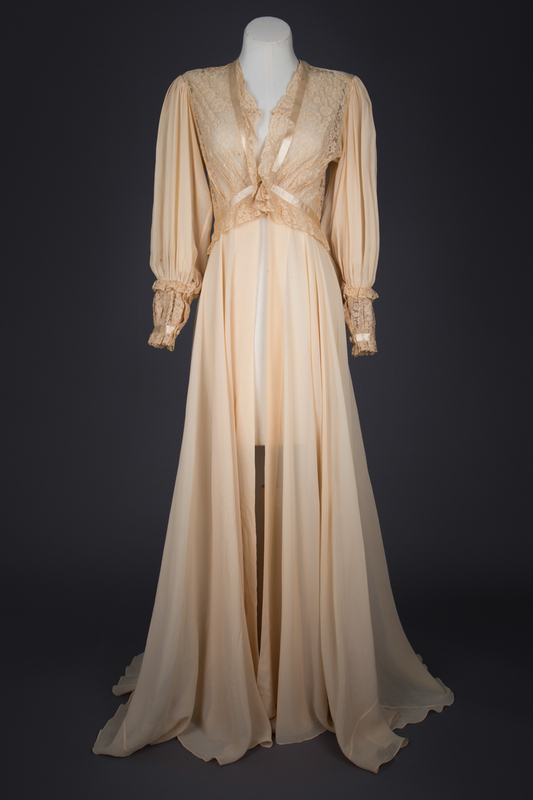 This peignoir was originally purchased at Bullock’s Wilshire, a luxury department store originally opened in 1929 in Los Angeles, California, but later closing permanently in 1993. 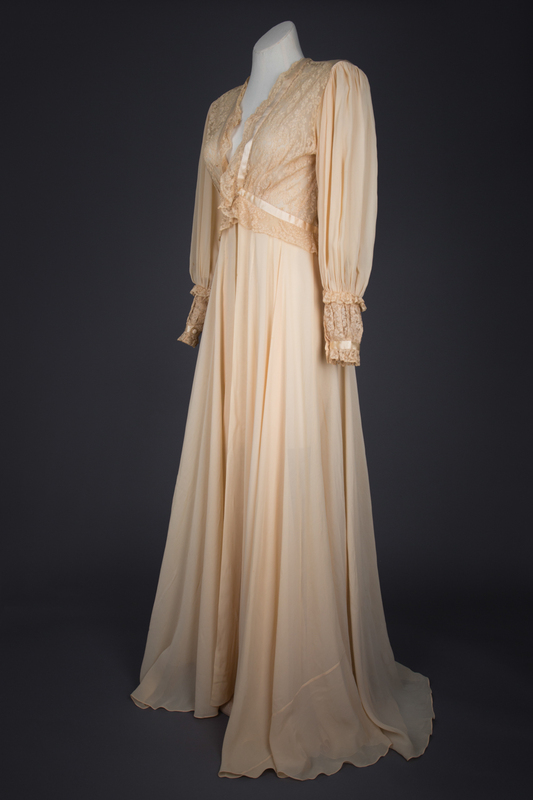 The store had a notably wealthy and famous clientele, including actresses such as Mae West, Marlene Dietrich and Greta Garbo.